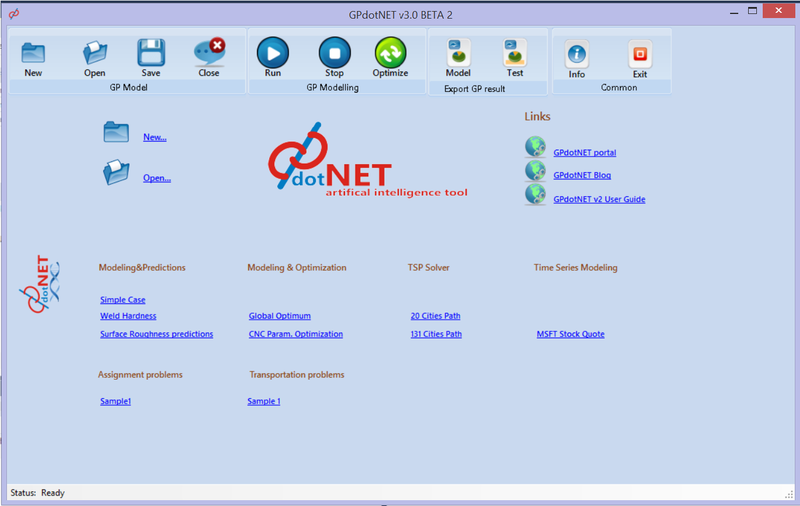 During summer I found few bugs in GPdotNET, as well as made improvements of existing features. Before final release of GPdotNET which will be at the end of the year, I have decided to make public release in form of Beta 2 version. This is second pre-release version of GPdotNET v3, which brings a set of new modules and solvers in Linear programming field like, assignment and transportation problems. 4. Bug in background when saving S-expression as png file. 5. Tested compatibility with Visual Studio 2013. The beta 2 version will be available for download today at http://gpdotnet.codeplex.com . For those who have click one installation of the beta 1 version, they will be get update automatically from codeplex site.